The past two books shared in this feature were books I had read, but today I'm switching gears and showcasing a book I recently purchased and that would make an amazing gift for other book lovers, especially those who enjoy classic literature and fairy tales. 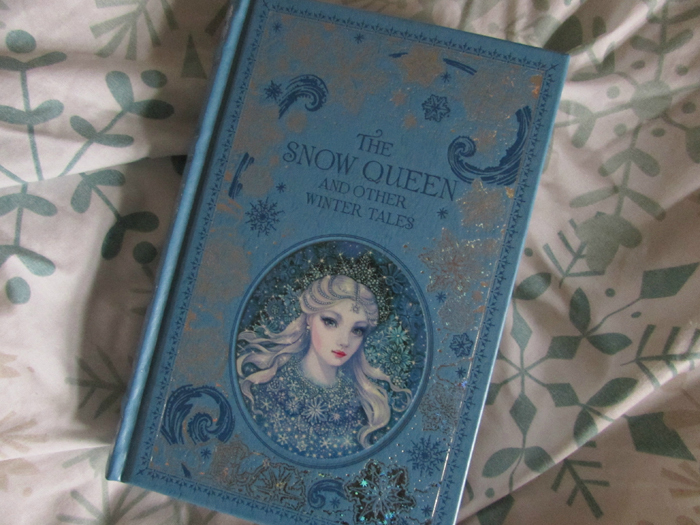 Although The Snow Queen is its notable story, you'll find a varied collection of one hundred tales inside featuring some you may well have read before from iconic writers including, Hans Christian Andersen, Charles Dickens, Louisa May Alcott and Alexandre Dumas as well as fairy tales you'll have probably heard of before too. I haven't actually read this particular book yet, but some of the featured stories I have read in other treasuries and there appears to be a story for every kind of mood. The book itself is just stunning. Weighty and well made, the cover is very sturdy and basically a work of art. 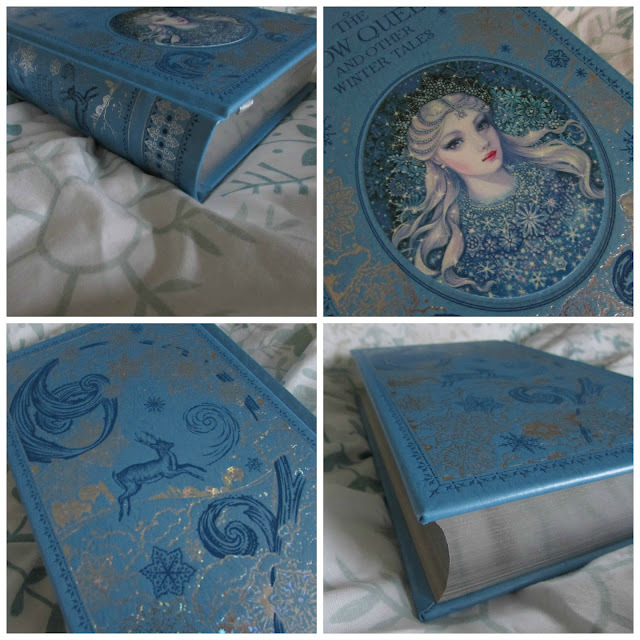 The colour scheme of blue and silver is perfect for the winter season, and intricate snowflake pattern that adorns the cover is just beautiful, making the book an eye catcher, but truly highlighted when in the light and wonderfully sparkly. I also like the extra detail of the pages being lined in silver as well as a built in silver ribbon book mark. It's all about the details. If you, or someone you know, enjoys collecting books of this nature (I call them treasuries, I don't know if that's entirely correct), then they won't be left disappointed unwrapping this on Christmas morning. So beautiful! I have the B and N edition of Arabian Nights - they make some lovely books! Ooo... What editions did you pick up? How many do you have in your collection now? Ah, thanks for the tip! I'll have to do some research too, for future reference! I'd love to see a post on your B&N collection!